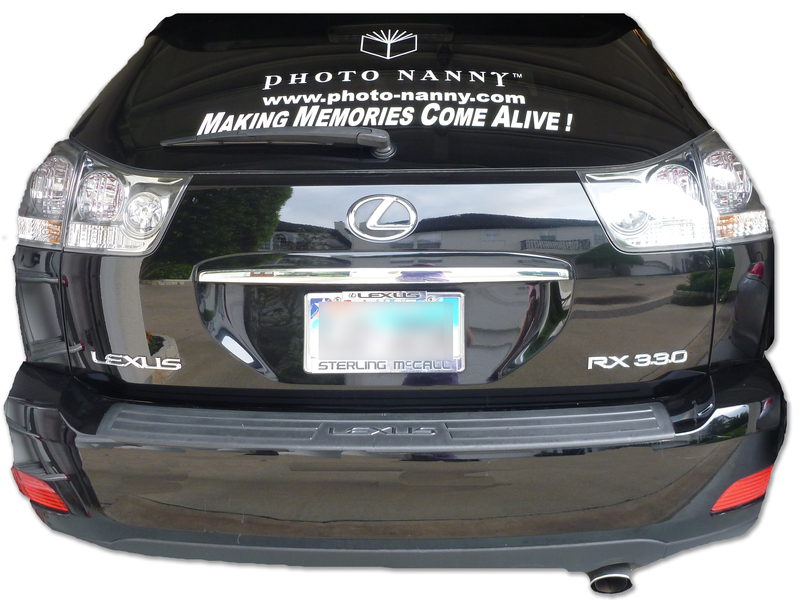 It turns out she had seen my vehicle (with the window decal) as she’d entered the store, and was wondering how she could find the Photo Nanny in the store since she’d been meaning to call for photo organizing help after hearing about our services from a friend. During our encounter I learned that her name is Susan. She had our contact information at home on her to-do list, but after more than a year, it hadn’t quite reached the top. I sensed the typical emotional guilt I so frequently see when meeting new clients, and I assured her we’re ready whenever she is and not to worry. I answered her questions, but I thought writing this blog would be a way I could share some Frequently Asked Questions about hiring Photo Nanny to be your photo organizer so you won’t have to catch me out running errands to learn some details on the process. Maybe it will help you take that step to move that to-do item up the list knowing it’s an easy process. 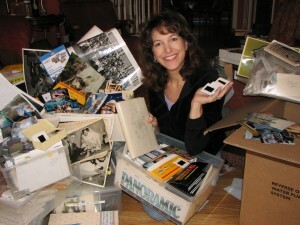 In fact, that’s our goal: Make the process of photo organizing easy, guilt-free, pleasant and personally rewarding. We want to take away the frustration and help you enjoy those treasures often buried from view. So, Step One: Call us at 713-705-8912 or email info@photo-nanny.com. It doesn’t cost a thing, and we will discuss your specific needs over the phone prior to any face-to-face meeting. We offer consulting services for a variety of photo-related projects ranging from teaching you how to retrieve photos from your camera card, ipad, or iphone all the way to sitting down side by side and helping you learn to make your own do-it-yourself photo book. We’ve helped tech savvy clients who don’t have time as well as technically challenged (beginners) with all kinds of things. There’s no need to worry that you’re not “qualified” for our help. Consider the first step being the hardest to take. For some it does come down to that guilty, gnawing feeling that they should be able to handle things on their own. I whole-heartedly recommend you let that feeling go because, whether it’s a lack of interest in it or a lack of time, the bottom line is if you get your photos organized (either on your own or with help), YOU are the one making it happen. Take pride in that. Don’t stress and feel badly about asking for help. We have been “the best kept secret” for several clients who were concerned that their spouse’s wouldn’t understand their need for help. We are happy to stand up proudly and be recognized or to lurk in the shadows making you look amazing while no one knows we’re helping. Either way is fine with us. We want you to shine with pride either way! Step Two: We meet face to face. In most cases this is at a client’s home, but we’ve been known to meet at storage facilities, in offices and even in hot, musty attics. Our initial consultation is provided at no charge for one hour. This hour is typically enough time to get a lay of the land and make a game plan on what projects you are interested in accomplishing, how we want to get there and when we want to cross the finish line. Many people have more than one project in mind, so, this is our chance to make a broad list of aspirations whether we end up tackling them all now or some now and postponing others for later. For some a project could be as simple as a photo book of a recent trip. We retrieve digital files from a camera card, plan and design the book, and voila, the project is complete. For many others, projects are like a layered cake, and the first project is often photo organizing. We assist in sorting hard copy prints into boxes or providing you guidance, or working with you side by side to reach your goal. The way we organize photos differs from other consultants and sometimes surprises new clients. We are happy and willing to do all the work without your presence. More tim es than not, we simply load your photos and memorabilia in our vehicle after the consultation, and we take it all back to our office for the team to work on while you get back to enjoying your life. We have more than 3,000 square feet of space and large work tables where we can spread out a family’s photos in a way most people don’t want in their own home (it’s not pretty – in fact, looks messy and overwhelming to most) And it must be out for days on end as the project is underway. Whether you don’t want the clutter or have “interested” children who want to come see what’s going on, our taking it all away resolves those issues. I’m told by many clients that loading the items in my car and knowing it’s being taken care of is the first real sense of calm they have about moving forward. Step Three: We learn about your family and begin working on your projects. If we’re organizing, we often interact with you via email or phone to answer some family questions as they arise. Like, “Did you know you have a check for $500 in among the photos here that Aunt Margaret sent you back in 1998? What would you like us to do with that?” All sorts of things come up along our journey, and it’s fun and exciting to see the progress as we move toward the goals you’ve set for us. Step Four: We deliver your finished product. If hard copy photo organizing is our project goal, then once they’re in archival boxes or your choice for disposition, we bring it all back to you in order. If we’re sorting digitals, we’ll deliver the files on an external drive and often upload the files to a gallery for your family to access. If photo scanning is our project goal, we deliver digital files according to your instructions – to you and/or multiple family members via the web, Dropbox, a gallery, DVDs, on a flash drive or external drive. And if some of these options sound confusing to you now, don’t worry, we’ll explain the differences and benefits of each and will help you decide the best route for your needs. If we’re digitzing film and movies, the delivery process is similar. For custom photo book creations we provide a proof before finalizing the project. Books can be sent to you anywhere in the world via the internet, and we’ve had many clients we’ve never even met face to face who have beautiful custom books in their possession now which they helped create while on vacation or simply from a location outside of Houston. Once we receive your comments and/or edits for the book, we update the files to meet your request and we order the hard copy coffee table book. We have all books shipped to our office so that we can ensure the quality meets our expectation, and then we deliver the book or books to you via mail, courier or you can come by the office to receive them in person. Book creation can be as quick as one day if it’s a small book, and the hard copy can be in our hands within two to three days if we have it processed by the publisher as a rush project, but typically publishing turnaround ranges from a week to a two weeks once our graphics work is approved, depending upon the publisher. For custom slide shows we provide a proof version similar to the photo books, and after meeting your approval, we provide the final files to you in whatever format you desire. Many clients stop by the office to have the video slide show placed directly onto their computer and to receive some hands-on how-to training for viewing it using Apple TV or another device. We’re ready to meet those needs as well so that you will be confident in showing your slide show at an upcoming event without worrying about the technical aspects of making it happen. One final question for new clients is “How do you charge for your services?” And the answer is we charge hourly rates for various services depending upon what we’re doing (photo organizing versus graphics work or consulting.) For projects spanning more than a month, we bill once per month for the work we’ve performed. In addition to monthly billing, we take project deposits. The amounts vary depending upon the scope of our work and are held as a retainer on your behalf during our work and are applied to your final invoice. If the final invoice is less than the deposit, we refund any overage at that time. We accept checks or cash for payment at this time. In order to keep costs down, we have not accepted credit cards in the past, but it is something we’re still considering simply because I know I love my Southwest Visa “points” I receive from using my credit card, and I know many of you like the points from your favorite credit card as well. We’ve never seen a project too large to handle or too challenging. Clients continue to “reveal” their situation with some hesitancy thinking that we may be overwhelmed, but it hasn’t happened yet. And so we continue to stand by our motto: “Bring It On! We can handle it!” Having read these details on how to hire Photo Nanny for organizing your photos and memorabilia, are you now ready?